Many people prefer to have their special day during the summer months, but a fall wedding can be charming, romantic, and friendly on your budget. The fantastic colors and mild climate that this season provides can inspire a beautiful wedding. 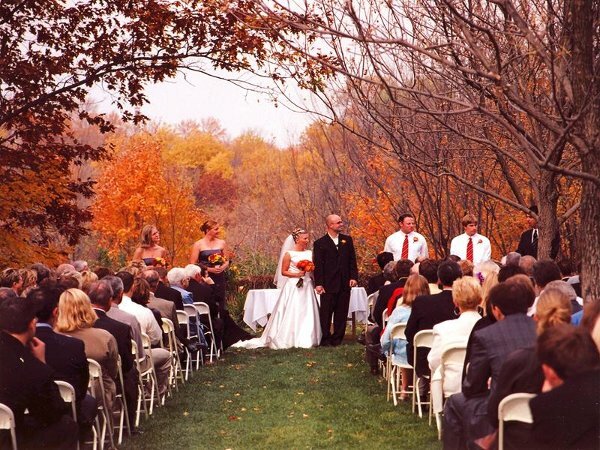 Let’s take a look at some of the best reasons to have your wedding in the fall months. Autumn brings many beautiful colors and it can be a great idea to theme your wedding around the season. 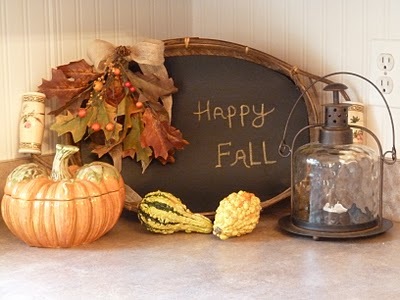 The colors of fall such as burnt oranges, browns, purples, and rich reds can be warm and romantic, and they can be easily incorporated into your wedding décor. You could even have your flower girls throwing colorful golden leaves down the isle rather than flower petals. You can use this color scheme to inspire your wedding invitations as well. Choosing fall colors for your invite perhaps a brown with burnt orange accents. You could even order in bulk or buy at your local craft store gold leafs to slip into each invite with your wedding date stamped on for there reminder cards. Depending on the time of day that your wedding will be held, it could be a great idea to add candlelight to the ceremony. Not only will it create a captivating and attractive backdrop but it’s incredibly romantic. Imagine saying your vows to your partner in the warming glow of candlelight. 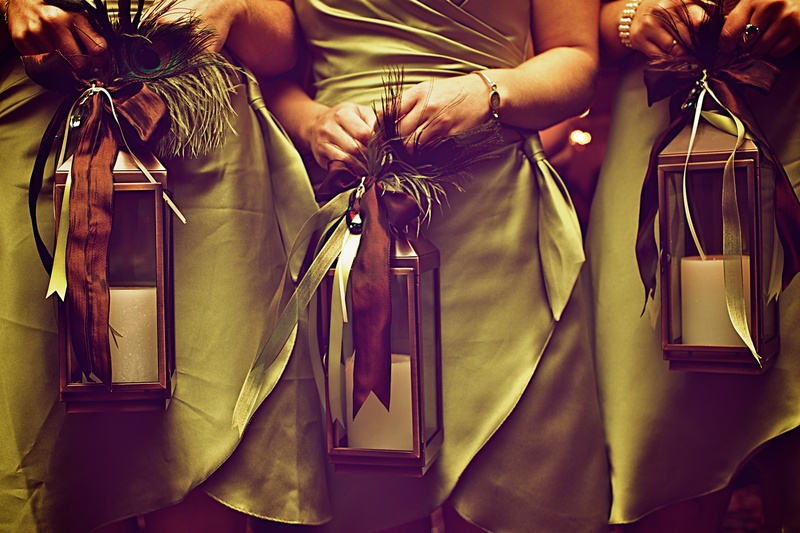 Another great idea to bring candlelight to your wedding is via your bridesmaids; how about have them carry lanterns with a candle softly lit? This could be a potential money saver; no extra bouquets to buy from the florist and it will result in lots of romance for your special day. This is a season that brings many tasty foods, and you can easily conjure up a menu that breathes the delicious flavors of autumn. 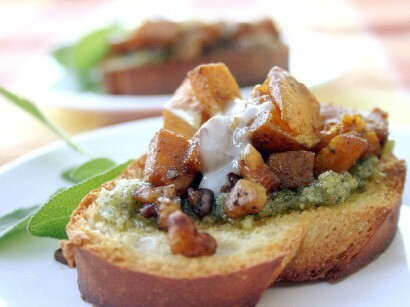 Why not greet your guests with a glass of warm mulled cider, a butternut squash bruschetta with a sage pesto, perhaps serve a game bird like Cornish hen or quail for the main course. 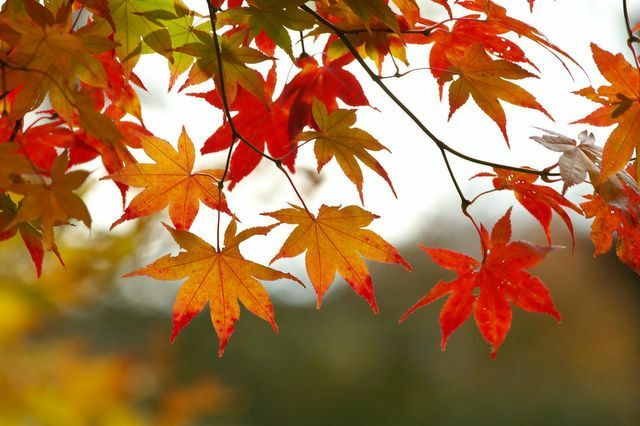 The weather can be just perfect in fall – depending on where you live. In sunny California you’re in luck, with only slight chances of cool wind or a drizzle of rain. This gives you a great reason to appreciate the outdoors and bask in the comfortable temperatures and magnificent autumn scenery. Your wedding photographer will be in their element with a backdrop of attractive golden foliage for your wedding photos. Due to mild weather your wedding party will not be sweating in their tuxes and beautiful dresses while standing around for pictures. 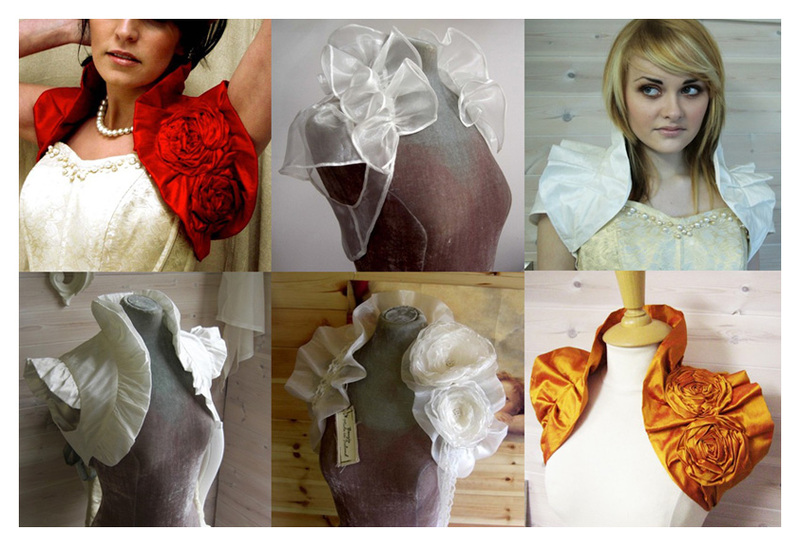 The best part, in case you are afraid of a little chill you can purchase a beautiful bolero jacket to accent your dress and cover your arms. With most people preferring to tie the knot in the brighter spring and summer months, having your big day in autumn can save you a lot of money. Hotels, halls, historic buildings, even a park and garden venues are likely to be cheaper (just don’t forget the time change when you plan your day). There are many benefits of having a fall wedding– take advantage and set the date today before it’s too late and all you have to wait is another year before you tie the knot! Tags: Autumn wedding, brown wedding, budget, fall inspired. Orange wedding, Fall wedding, green wedding, money saver, purple wedding. Beautiful ideas for romantic souls!